in Tulare County since 1982. 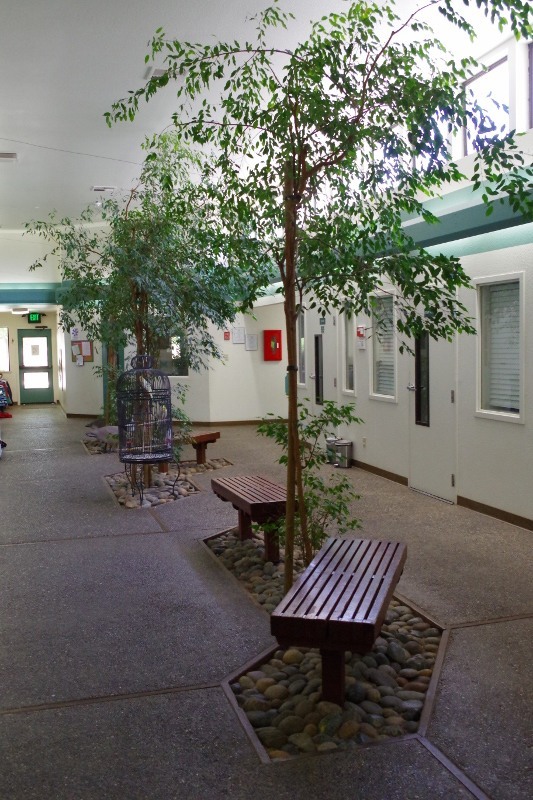 Thank you for your interest in enrolling your child in Greenhouse Montessori School. 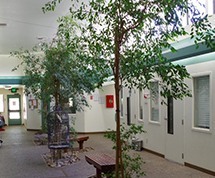 Greenhouse Montessori School was established in March 1982 by Anne Hoffman and Nina Clancy. 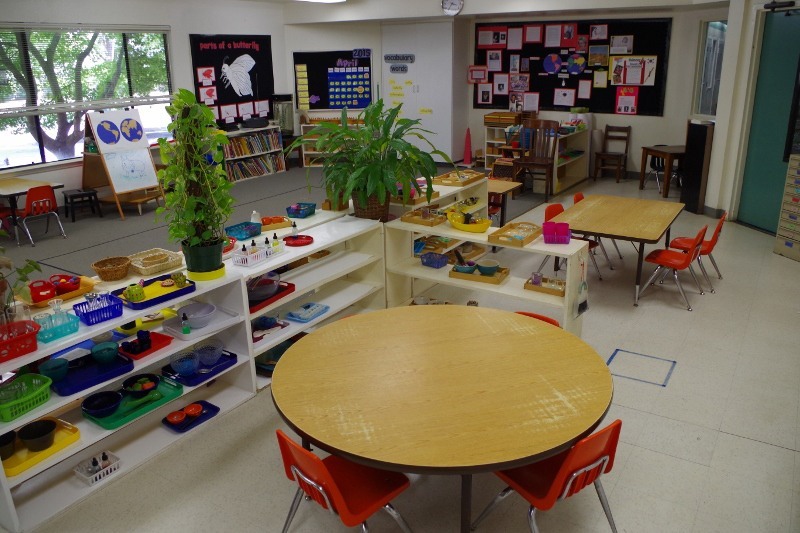 Nina and Anne believe that the Montessori method of education provides the most effective and fulfilling way to guide a child through his early school years, a critical period for learning and setting patterns which last a lifetime. 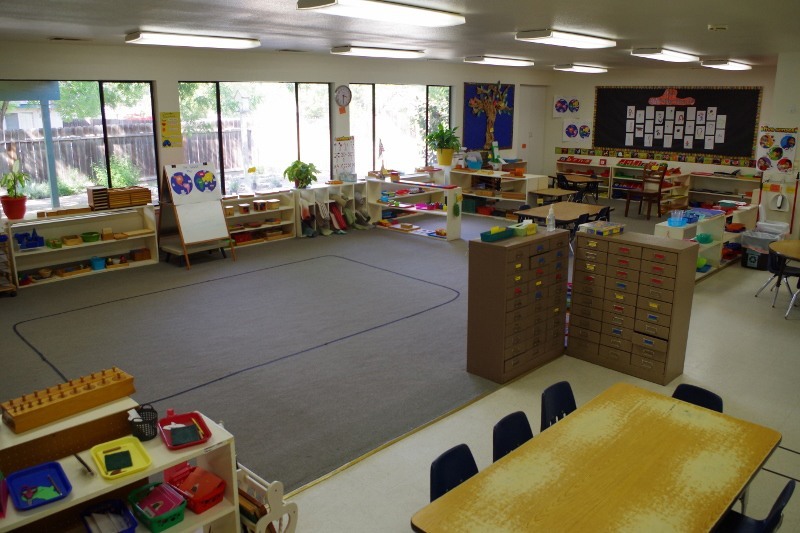 Our goals are two-fold: 1) to provide a Montessori enrichment program and 2) to provide a "non- institutional" environment for children requiring full or part-time day care. 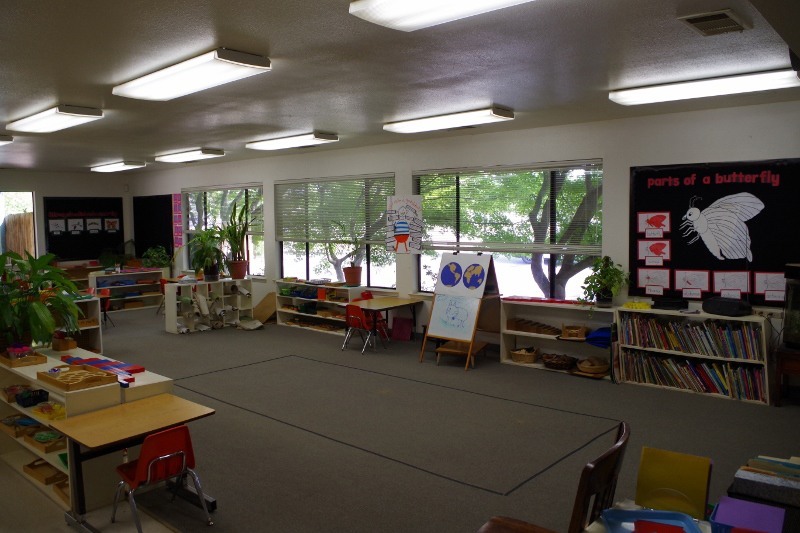 Each class of twenty four children is taught by a certified Montessori teacher and an assistant teacher. 1. 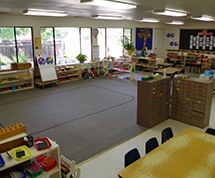 Morning Montessori Preschool Program: 8:30 a.m. - 11:30 a.m.
2. 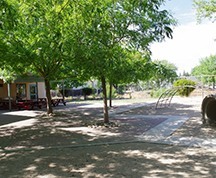 Lunch Period: 11:30 a.m.- 1:00 p.m.
Children staying from the morning program through this time or who are dropped off early for the afternoon program will bring a lunch from home to eat from 11:30 a.m. - 12:00 p.m. and then play outside (weather permitting) from 12:00 p.m. - 1:00 p.m.
3. 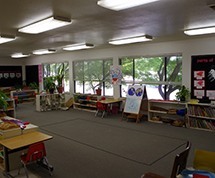 Afternoon Montessori Preschool Program: 1:00 p.m. - 4:00 p.m.
4. 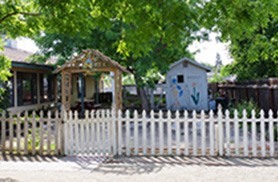 Full Day Preschool Program: 7:30 a.m. - 5:30 p.m. 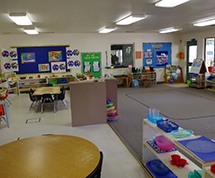 The child arrives between 7:30 a.m. and 8:30 a.m. and spends the time prior to the morning class doing quiet activities such as visiting with friends, drawing, playing with puzzles and blocks, looking at books, or watching T.V. The child then attends the morning Montessori class and at 11:30 a.m. eats a lunch he/she as brought from home. 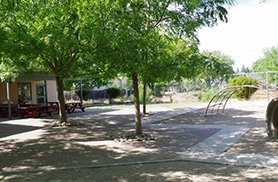 A quiet and/or nap time is provided after lunch; it is up to the parent to determine if the child will be an indoor "rester" or an outdoor "player". 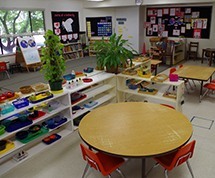 The child then attends the afternoon Montessori class. 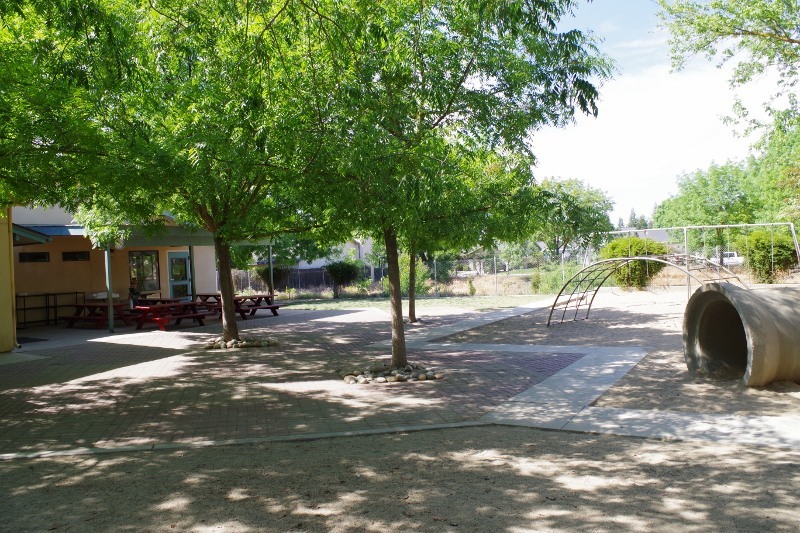 From 4:00 p.m. - 5:30 p.m. recreational activities are provided such as outdoor play, stories, drawing, blocks, puzzles and games. 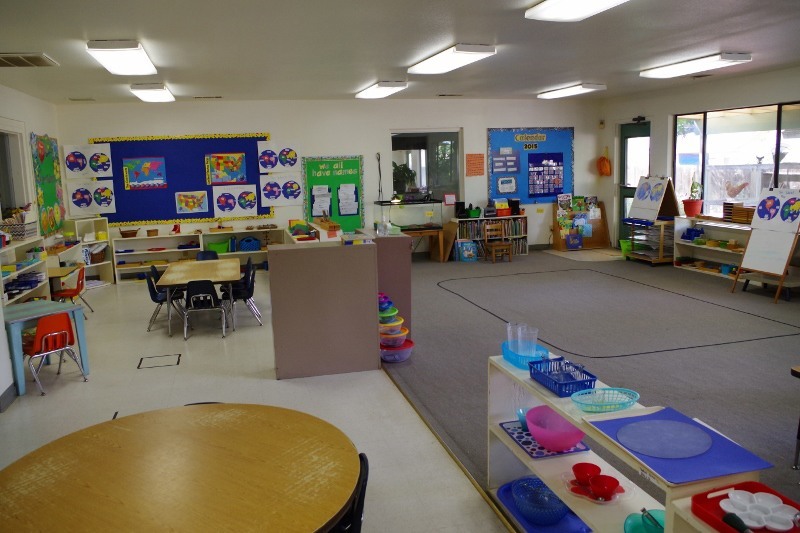 This class is for the kindergarten-age child who will have the opportunity to continue with the Montessori curriculum started in the preschool class. Additional emphasis is placed on oral and written language development and advanced mathematical concepts. This class is available to either half or full day students. Address : 4143 S Dans St.